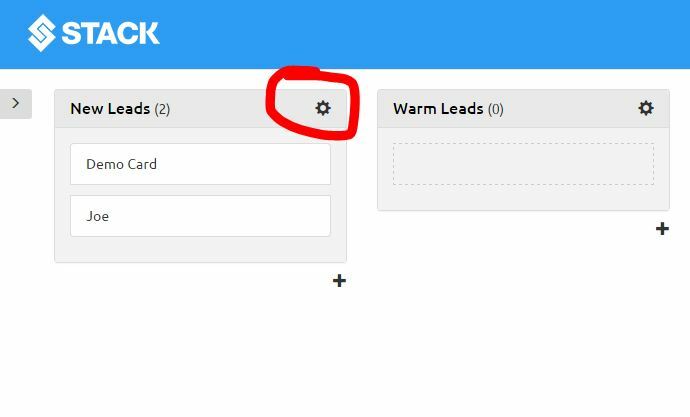 Click the’Automation Settings’cog wheel in the top right hand corner of that column. You will now also enter the body/text for your SMS. Remember to keep it short and sweet. An SMS is only effective if the received can understand it clearly and quickly. 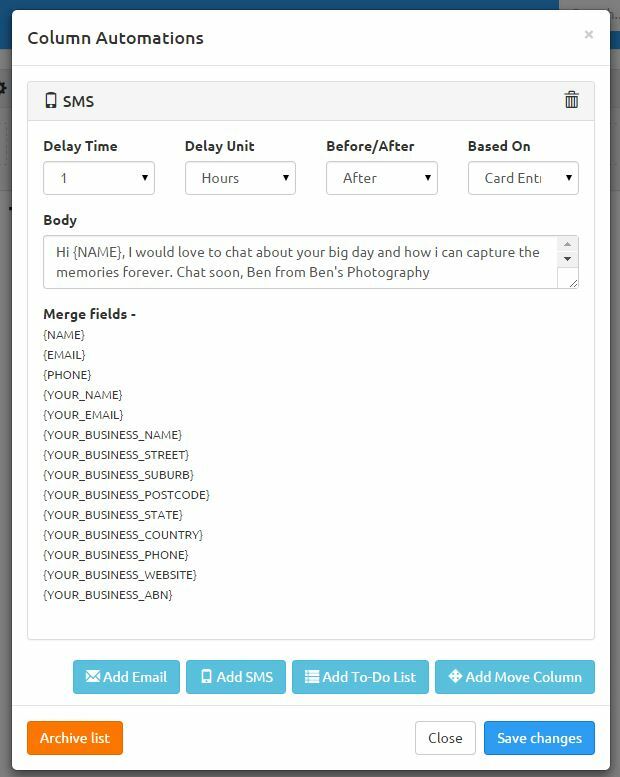 Once you have entered all of your fields and your SMS template you can click ‘Save Changes’. This will then activate that automation under that column. Keep in mind that each card that is entered and has a valid mobile number under this particular column will receive this message 1 hour after being added. 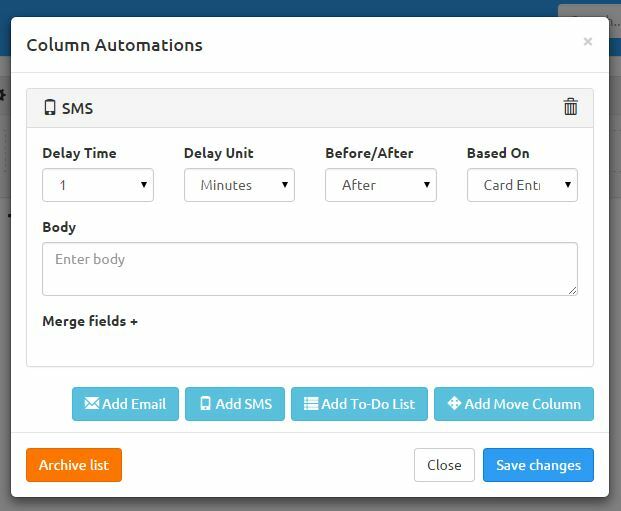 Now that you are comfortable creating automation’s for your lead columns you can experiment with emails and SMS automation’s at various intervals of the leads life cycle. I.e. after 1 week, 1 month, on their birthdays, 1 month before their expiry dates, etc.